Route 14 is a Classic 1966 Leyland Titan has been converted in to a fully functional bar on the lower deck, capable of serving high volumes of premium craft beers, ales, spirits, cocktails and much more! We source our products independently from a range of local and national suppliers. The upper deck has been transformed into a lounge area for guests to enjoy, with ambient lighting and music. 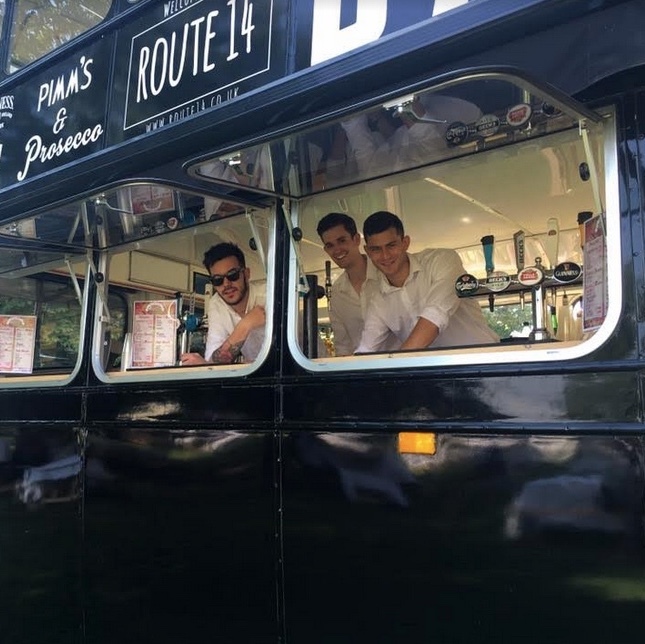 Route 14 bus bar is perfect for street markets, public events, weddings, festivals, corporate events, academic ceremonies and many more large capacity events, we can offer bespoke packages depending on the nature of the event and client’s needs. Route 14 has everything to ensure the best bar service for your perfect event. Booking could not be easier, simply contact us to discuss the best options available for you! Route 14 caters for all types of outdoor parties and functions. 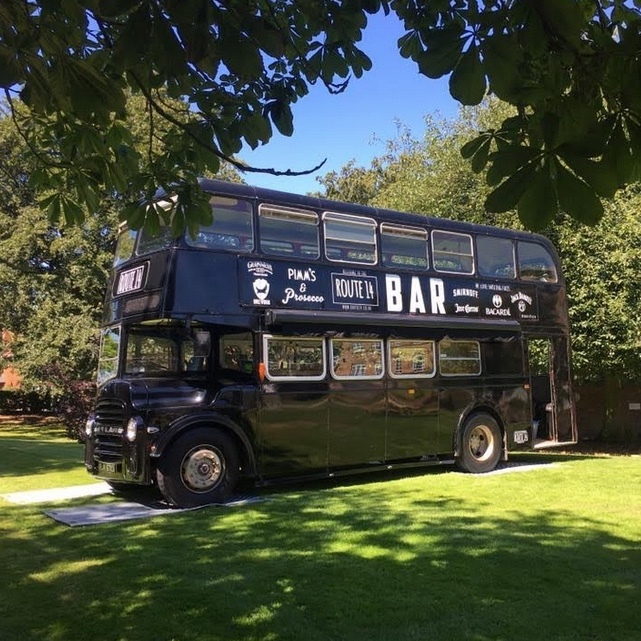 The classic bus has been converted in to a modern bar, capable of supplying all your bar catering needs for your event, including extra cold draught and craft beers, ciders, ales, spirits, bottles and many more. Route 14 works closely with caterers, entertainers and event service providers that we would happily recommend for optional extras. We can provide the bar fully staffed and stocked or alternatively we offer dry hire service too. Here at Route 14 we love a good festival, with a large portion of our experience being built up around festivals and sporting events. Route 14 can provide a quality bar service, the top deck also serves as a viewing platform and lounge area, with ambient lighting and comfortable surroundings, this makes it the perfect place to host VIP's or for guests to relax. We have a large capacity bar which can be used to stock a huge array of drinks, ranging from extra cold draught and craft beers to a cocktail bar. Let us know your needs and we can customise the stock selection. Route 14 have a fun-loving team and can trade independently at your event, alternatively we can also offer dry hire to boost your bar capacity. Route 14 specialise in offering a very special alternative to mobile bar services. 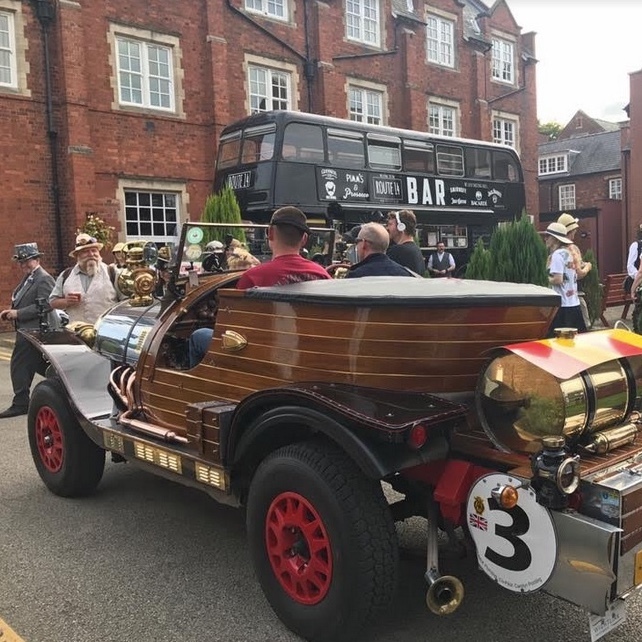 With our vintage Leyland double decker bus bar, not only can we give your customers an experience they will never forget, we can also bring an additional and unique selling point to your venue or event. Route 14 has an experienced and polite team that can help provide your event with any bar facilities required. We work with established suppliers to provide you with the best tailor-made beverages for your guests. You can also adapt the bus to match the style of your event, we can add artwork or branding to the bus as desired.